Harriet Laing was a bolt-away winner of the Aniwell Cat C High Points Series at HOY and she couldn’t have been happier. 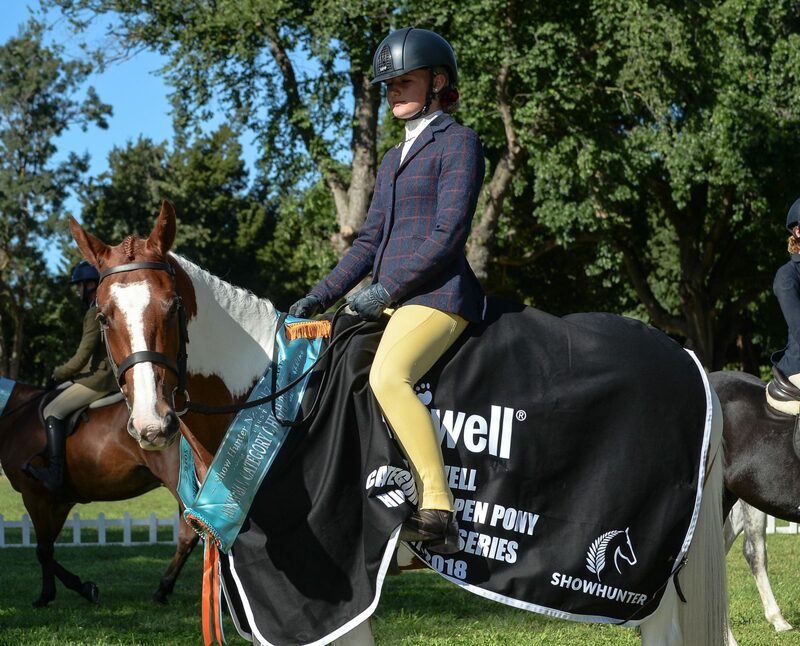 She and 12-year-old Triple Star Picture Puzzle have been doing show hunter for two seasons and this year won the Canterbury Cat C Series, South Island Cat C Series, the National Cat C title and the SCNO overall show hunter crown. They had already secured the Aniwell Cat C High Points before starting at HOY. “Our partnership is really coming together now,” said Laing. She was quick to praise her “amazing” coach Lucy Maley. Laing is planning on competing more in showjumping next season but says she will certainly keep up her show hunter training. She’s grown up riding and following in mum Anna’s footsteps headed first to showing as a five-year-old. These days she still competes in showing for Amberleigh Stud. Laing lives on a 3500-acre sheep and Angus stud where she loves to ride her pony all over the property. The pony has previously won the same series with former owner Frankie Middleton. Aniwell Cat C High Points Series: Harriet Laing, Triple Star Picture Puzzle 75 points 1, Georgia Allison, Pioneer High Jinx 53 2, Chantelle Smith, Finch 49 3, Abe Baker, Tawa 48 4.